Are there Columbus, Indiana car dealerships that offer a great selection of used cars in Columbus, Indiana? Let Acra Automotive Group be your local Columbus, Indiana car dealerships. We make it easy to buy used cars in Columbus, Indiana because we have a great selection of used cars for sale with affordable prices at our Columbus, Indiana car dealerships. Our Columbus, Indiana car dealerships offer a great selection of used cars for sale in a variety of makes, models, and styles. We have everything from a used Acura for sale to a used Volvo for sale at our Columbus, Indiana car dealerships of Acra Automotive Group. View our online inventory in the privacy of your home or on your smartphone when you visit our used car websites of Acra Automotive Group. You can quickly and easily sort by body style, price, or even make and model, including used cars under $5000 at our Columbus, Indiana car dealerships of Acra Automotive Group. Here at Acra Auto Group, your local cheap car dealerships in Columbus, we understand that finding a vehicle that fits both your wants and your needs can seem like a never-ending process especially when looking for cheap used cars for sale. Which is why we have a team of friendly and knowledgeable people who are happy to answer any questions and help guide you in the right direction when searching for cheap used cars for sale at our cheap car dealerships. If you are checking cheap car dealerships near me for used cars under $5000, then Acra Automotive Group is the used car dealerships near me that will be just right for you. The used cars under $5000 that you will find here are available in many makes, models, and styles, so we are sure to have the perfect cheap used cars for sale near me that suits your wants as well as your needs in a vehicle. 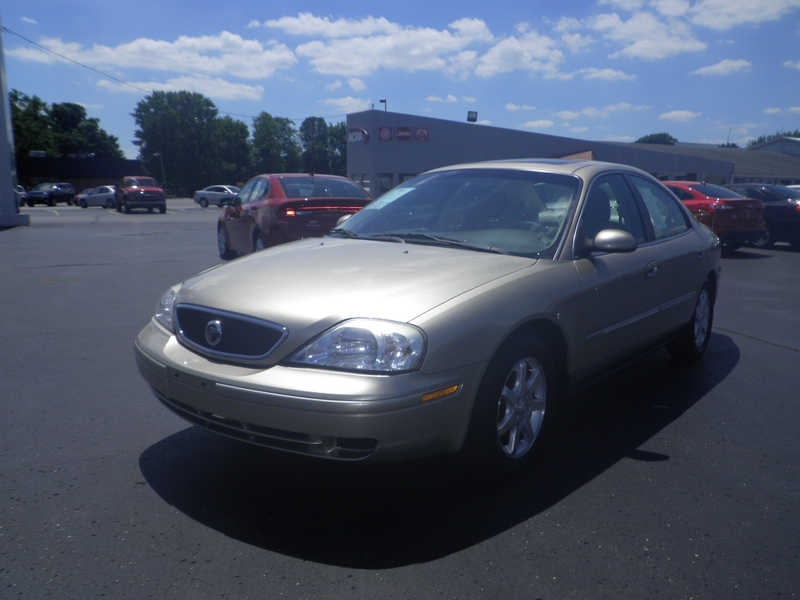 One of the used cars under $5000 is a nicely equipped yet affordable 2000 Mercury Sable LS Sedan for sale. This used car for sale near me comes nicely equipped with leather seats and a power sunroof. Not only does this cheap used car for sale have fantastic amenities inside, but this used car under $5000 also has a powerful 3.0-liter V6 engine. Come and take this cheap car near me for a test drive down the streets of Columbus, IN today. Whether it is cheap used cars for sale, like the used cars under $5000, or another one of our used cars for sale, we have the perfect car waiting for you at the cheap car dealerships of Acra Auto Group. Come and see all that we have to offer you in cheap cars for sale near me at our cheap car dealerships today. Acra Pre-Owned Superstore in Columbus can be reached by calling 888-356-2272 or visit us at 2820 North National Road, Columbus, Indiana 47201.